MH sites and Villas is a gated community formed in 9.5 acres of Residential converted land. The Project location is excellent, surrounded by greenery with good oxygen level. The Project work is 90% completed, nearly 28 Houses got constted and people are living in the project. MH Sites and villas is a BMRDA Approved Layout, Phase one was completed in 2014 and phase 2 in 2018. The phase 2 comes under RERA too. The Layout is approved by major Banks like HDFC, ICICI, SBM, PNB, Karnataka Bank Ltd etc.. The plot price is 2250/Sft and the 3 BHK, Duplex Villas, 1800 sqft constructed in 1200 sqft plot is 65 lakhs. 800 to 2200 Sq. Ft.
Kanakapura Road is the most sort residential area in Bangalore. 25 % Price is less compared to all other parts in Bangalore. 150 % Assured Appreciation in coming 5 years. Easy Connectivity to other part of Bangalore with wide Roads & The NICE Road. Kanakapura Road(NH 948) will be of 300 feet wider soon. Common Man can commute easily for his daily work through upcoming Namma Metro stations in Kanakapura Road. Filled with well known educational institutions like Kumaran's, Valley School, Jain University, Dayanand Sagar University, Edify etc. Close to world famous spiritual centers like The Art of Living Ashram & the Pyramid Valley. World Famous Krishna Leela Theme Park (ISKCON) is under construction in Kanakapura Road. Few Minutes’ Drive to Metro Cash & Carry & Upcoming Well Planned Shopping Malls. 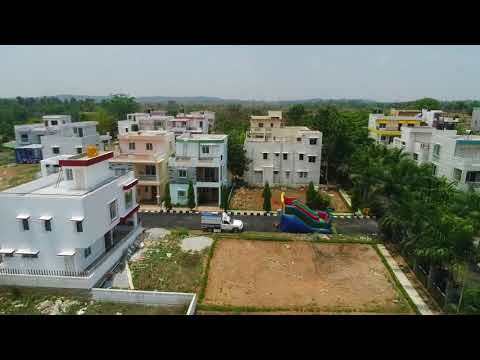 Few minutes’ drive to weekend destinations like Holiday Village, Guhantara etc..
Mangilal Heeraji Builders and Developers is a Bangalore Based Company. Its vision is to develop good residential projects in and around Karnataka. Content provided by Mangilal Heeraji Builders and Developers. Info Edge (India) Ltd. disclaims all warranties against infringement.